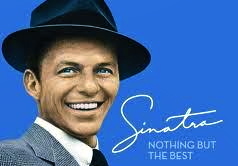 Francis Albert “Frank” Sinatra, /sɨˈnɑːtrə/, (December 12, 1915 – May 14, 1998) was an American singer and film actor. Beginning his musical career in the swing era with Harry James and Tommy Dorsey, Sinatra became an unprecedentedly successful solo artist in the early to mid-1940s, after being signed to Columbia Records in 1943. 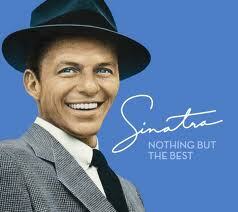 Being the idol of the “bobby soxers“, he released his first album, The Voice of Frank Sinatra in 1946. His professional career had stalled by the 1950s, but it was reborn in 1954 after he won the Academy Award for Best Supporting Actorfor his performance in From Here to Eternity. He signed with Capitol Records in 1953 and released several critically lauded albums (such as In the Wee Small Hours, Songs for Swingin’ Lovers, Come Fly with Me, Only the Lonelyand Nice ‘n’ Easy). 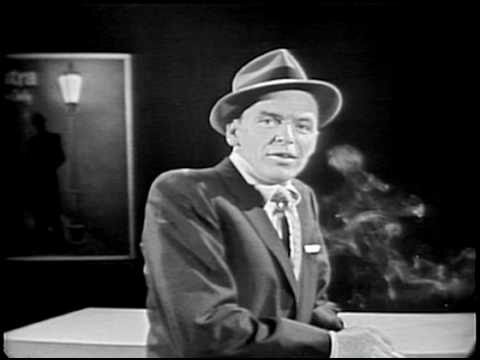 Sinatra left Capitol to found his own record label, Reprise Records in 1961 (finding success with albums such as Ring-a-Ding-Ding!, Sinatra at the Sands and Francis Albert Sinatra & Antonio Carlos Jobim), toured internationally, was a founding member of theRat Pack and fraternized with celebrities and statesmen, including John F. Kennedy. Sinatra turned 50 in 1965, recorded the retrospective September of My Years, starred in the Emmy-winning television special Frank Sinatra: A Man and His Music, and scored hits with “Strangers in the Night” and “My Way“. With sales of his music dwindling and after appearing in several poorly received films, Sinatra retired for the first time in 1971. Two years later, however, he came out of retirement and in 1973 recorded several albums, scoring a Top 40 hit with “(Theme From) New York, New York” in 1980. Using his Las Vegas shows as a home base, he toured both within the United States and internationally, until a short time before his death in 1998. Sinatra also forged a successful career as a film actor, winning the Academy Award for Best Supporting Actor for his performance in From Here to Eternity, a nomination for Best Actor forThe Man with the Golden Arm, and critical acclaim for his performance in The Manchurian Candidate. He also starred in such musicals as High Society, Pal Joey, Guys and Dolls andOn the Town. Sinatra was honored at the Kennedy Center Honors in 1983 and was awarded the Presidential Medal of Freedom by Ronald Reagan in 1985 and the Congressional Gold Medal in 1997. Sinatra was also the recipient of eleven Grammy Awards, including theGrammy Trustees Award, Grammy Legend Award and the Grammy Lifetime Achievement Award.